Are you looking for transmission maintenance in Victorville? The transmission of a vehicle is often the first to experience problems as it ages, and most transmission problems are quite costly to fix. You can save money by going to a Victorville vehicle repair shop early on rather than waiting for problems to occur. 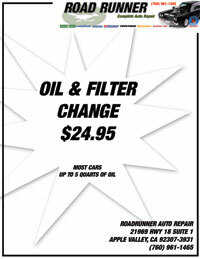 Road Runner Auto Care provides comprehensive transmission maintenance in Victorville and the surrounding cities. Transmission maintenance services include inspections, cleanings, and fluid changes, all designed to ensure that your transmission lasts. If your transmission needs repair, Road Runner Auto Care can complete a comprehensive transmission inspection and discover which transmission repairs are necessary. You may need to have transmission parts ordered in to complete your transmission repair, and Road Runner Auto Care can help you find te transmission parts that suit your budget and your vehicle. If your vehicle’s transmission is acting up, it probably needs to either be maintained or repaired. Transmission Repair in Victorville may be needed if you’ve experienced any of the following: erratic behavior while shifting, grinding when changing gears, leaking fluid, or a burning smell inside of your vehicle. Any of these symptoms can progress to more serious transmission problems if they aren’t addressed. Something as simple as leaking transmission fluid could ultimately cause more serious issues within your vehicle. Transmission issues affect your entire car, and the cost of transmission issues can run many thousands of dollars. Automatic transmissions need to be regularly adjusted, and manual transmission servicing includes cleaning that will reduce premature wear. Transmission issues could lead to erratic functioning in your vehicle, which could ultimately cause you to lose control of your car. Rather than run the risk, it is better to get a transmission check at Road Runner Auto Care in Victorville. 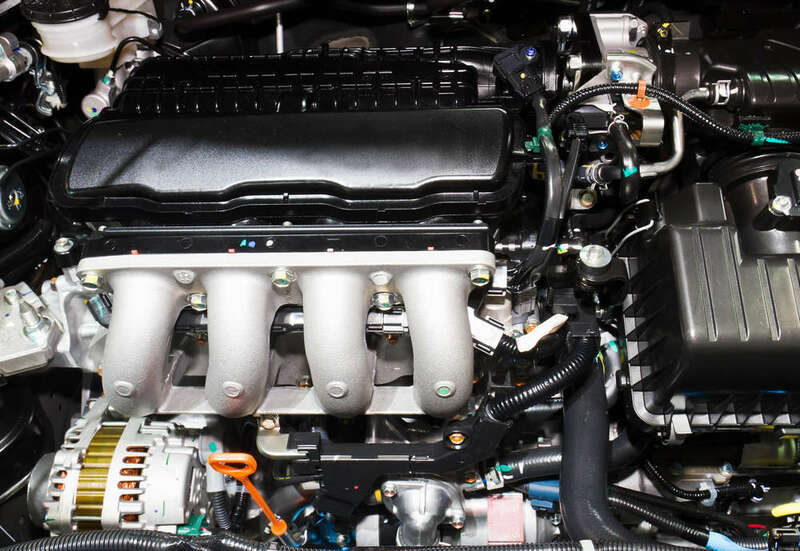 If you need transmission maintenance in Victorville, contact Road Runner Auto Care right now. It’s always best to address transmission problems as soon as possible before they can become dangerous or harmful to your vehicle.